Would you make a good architect? Take our career test to find out how you match with this and over 800 other careers. What is the workplace of an Architect like? What is the difference between a civil engineer and an architect? What is the difference between an architect and an architectural designer? Is an interior architect an architect? Should an architect know how to construct a building? Do architects and civil engineers work together? What is some good advice for architect students? What's it like being an architect? An architect is someone who loves to design, and is specifically trained and licensed to work on the planning and design of buildings. The facets of an architect's role are as varied and fascinating as their work; these are professionals who lead the process of creating functional spaces, from concept and design to a full realization of those designs. Architecture is an art that works hand in hand with science to design places where people can live, eat, work and play. As a leader of various projects, from something as small as an addition to someone's home, to something as large as a hospital, college campus, or an entire neighbourhood, the role of an architect is to bring together the creative ideas and visions of the client and keep in mind the needs of those that will be using the new space. Architects are not just involved in the design of a building. As a licensed professional they are also responsible for public safety and overseeing of projects. Their role is important in every stage of the building's construction, from the initial concept to the opening ceremony when the building is complete. Beyond completion, an architect often remains involved in a project as buildings evolve to incorporate new surroundings and ideas. The aspects of work can be split into three main roles or phases- the design, documentation, and construction roles. In the design role, an architect is hired by a client to produce detailed designs of a concept or idea that the client wants to bring to reality. As well as needing creative design ideas, this part of the role involves a great deal of technical knowledge and responsibility. There is a need to comply with building and safety regulations, local planning regulations and restrictions. Depending on the project, there may be laws surrounding the preservation of the local environment or any historic parts of a building. Regular client meetings are important to establish requirements and discuss detailed design proposals. Also important is heading up the team of professionals who will work on this stage of the project including engineers, designers and financiers. During the documentation phase, the responsibilities are to capture the design on paper, producing detailed drawings and using technology such as CAD to test the feasibility of the design. This stage can involve continual revision and redrawing to incorporate changes based on the client's requirements, budget and regulations. Once the design documents are complete, there are then a second set of documents that need to be produced. These are the construction documents, which translate the design into instructions and technical specifications for contractors and construction experts. Once the project reaches the construction stage, the architect will be involved in site visits and meetings, overseeing the construction and signing off on various pieces of work, negotiating with contractors and dealing with and resolving any problems that arise. Are you suited to be an architect? Architects have distinct personalities. They tend to be artistic individuals, which means they’re creative, intuitive, sensitive, articulate, and expressive. They are unstructured, original, nonconforming, and innovative. Some of them are also investigative, meaning they’re intellectual, introspective, and inquisitive. Does this sound like you? Take our free career test to find out if becoming an architect is right for you. The variety of roles means that there is also a variety of workplaces. Most of the design work will be done from an office, but there will also be visits to clients' offices, meetings with planning offices and local government, and of course site visits. 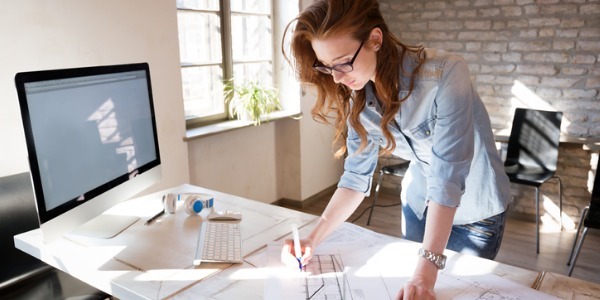 Depending on whether they are freelance or employed by a company, an architect may work from their own office, sometimes from home, or from a number of company offices. The role can involve travel and international conferences, placements or meetings. Both civil engineers and architects are involved in planning and designing structures. However, a civil engineer will concentrate on making sure the structure will be safe and be able to endure everyday and extreme conditions, while the architect will focus on the aesthetics of the structural work, as well as concentrate on the look, feel, and functionality. The civil engineer will analyze and evaluate the structural integrity of the design that the architect has created, and find ways to make the construction design possible by suggesting alterations/modifications in order to turn the architect's vision into reality. Civil engineers and architects often work with each other, as their work sometimes overlaps. A good working relationship between the two professions will make a construction job more effective and successful. 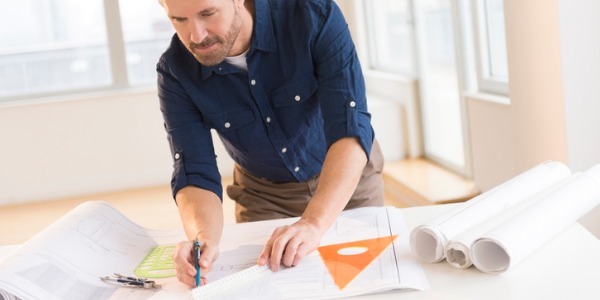 An architect is a licensed professional who has passed the registration exam - a very rigorous seven-part exam that is administered by the NCARB (National Council of Architectural Registration Boards). This exam is to architects what a bar exam is to lawyers. An architectural designer is not a licensed architect, and has not passed the registration exam. Note: an architectural designer should not be confused with a design architect, who has passed the registration exam and is a licensed architect, but chooses to only deal with the design aspect of a project, and lets another architect deal with the construction end of things. "Interior Architecture (IA) has certainly come a long way. The profession was initially known as Interior Decorating before it evolved into Interior Design. Interior Design professionals still provide decorating and design consultation, but their job responsibilities now include more ‘technical’ duties such as technical drawing, building technology & services, materials & building finishes technology, and furniture detailing. The need to understand architecture-related matters within Interior Design has given birth to the field of Interior Architecture (IA). Interior Architecture involves the planning and detailing of a residential or commercial building’s interiors. This is to maximize effectiveness by emphasizing on space planning and creation. Not only does the space need to look good, it must also be functional. Innovative designs enable us to live and work more comfortably, efficiently, and securely; all within an aesthetically-fulfilling environment. So what do interior architecture graduates do exactly, once they join the workforce? They plan space allocation, traffic flow, as well as work with engineers on building services, joinery (woodwork), and lighting. This is in addition to the selection of materials, furniture, finishes, fittings and artwork, in order to create attractive and vibrant spaces. They are also trained to consider the modification of a building’s interior structure with assistance from engineers, rather than just refurnishing existing spaces." Architects are obligated to protect the health, welfare and safety of a building's occupants, so it is absolutely necessary that the architect have construction knowledge. Anyone who designs a building without any construction knowledge is an artist or a designer; they are not an architect. An architect is held responsible for the conception, execution, and successful completion of a building. It is necessary to note, however, that a building beyond a rudimentary structure is too much for just one architect to take on or to fully understand all by themselves. Sometimes there are gaps in knowledge, and it takes collaboration with other architects and engineers to safely and successfully execute a design through to its completion. The two main designers of a structure are the architect and the civil engineer; both professions being integral to the structure's execution and construction. Their responsibilities often overlap. The architect will design a space to meet the client's needs, and will come up with blueprints for both the inside and outside of a building. 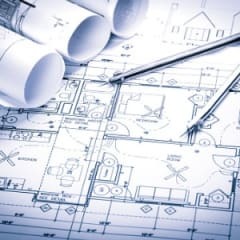 Because the architect is ultimately responsible that the building is safe for its occupants, he or she will work closely with a civil engineer to ensure the structure meets all the appropriate building codes. The civil engineer can also advise and/or select the appropriate structural materials, and help with specifying the plumbing, electrical, heating, air conditioning, and ventilation systems that will be needed. Architecture school is very rigorous, and you won't have much of a life during your school years. Projects take much longer than you think they will - figure on two or three times longer than what you estimate. For the first couple of years, your work will all be done by hand (hand modeling and hand drawing). Draw everything and everyday, it is important to draw as much as you can. This will help you in the long run. The later years will introduce computer modeling. Learn how to render well; it is one of the most useful things you can put on your resume and in your portfolio. Try to get as much work experience as possible, as soon as you can. An excellent place to work is at a construction company, as you will learn a lot about the buildings you are designing and will become a much better architect with that understanding. Make the best impression you can during your internships - you need to start building relationships/connections with people early on. Develop an appreciation for art and influences outside of the realm of architecture. Try and keep an outside perspective, it will help open your mind to possibilities and shape your career. Being an architect can be very challenging and competitive. University does not teach you everything you need to know, but it does develop your creative talents and opens your mind to new ideas. You will learn about business and the technical aspects of architecture when you start working in the field. You will also develop useful contacts and relationships with contractors, engineers and clients. Practicing architecture for most architects is not about designing per se, but about coordinating projects, solving design problems, and overseeing the details of the construction. All these sometimes mundane and uninspiring tasks will lead to a successful design. Over time, you may prefer either the design aspect, or the technical aspect of the job and may veer towards doing one over the other. The direction you take in your career will dictate what your typical day will be like. Architectural design focuses on the design of a building, the use of 3d models, sketching, renderings etc. Technical design focuses on the construction, documentation, and details of a project. There is also the business side of architecture, and if you find you prefer that side of the picture, you can branch out and become a project manager. Try to get an opportunity to spend some time in an architecture office if you can. See if you like what the people are doing, chat with them and see if they are the type of people with whom you'd like to work with - this is really the best indicator of whether you will enjoy being an architect or not.